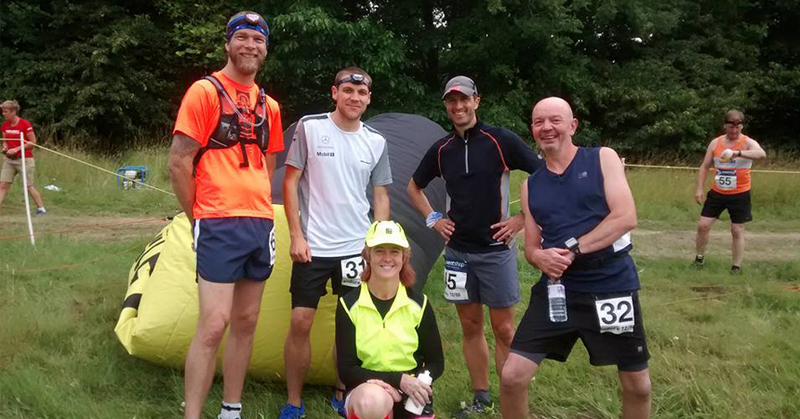 The Ultra 12/50 can be considered the ‘little brother’ to the ‘big brother’ Endure 24 event with solo runners, pairs or teams completing as many 5 mile trail laps as they can around Beale Park, near Reading in a 12 hours. The location itself is a parkland area which borders on the Thames River. The event starts at 7pm and finishes at 7am in the morning so you generally have an equal amount of light to dark hours. This event is on my doorstep and was one of my planned build up events to a certain race taking place in Greece in September. I have planned to run a marathon every couple of weeks as part of my build up, to work on a bit of ‘speed endurance’ and do some more road miles but I was treating these as training runs so I will be able to continue with my weekly mileage. A evening/night time trail 50km didn’t quite fit my strict definition of roadwork but it was so close to home that I couldn’t pass up the chance to take part and was a nice one to kick off the next few events. I arrived a couple of hours before the start to register and collect my chip time and race number and looked around for the start of the 50km event (with 5 mile laps, the 50km runners started a mile before the others at the same time). 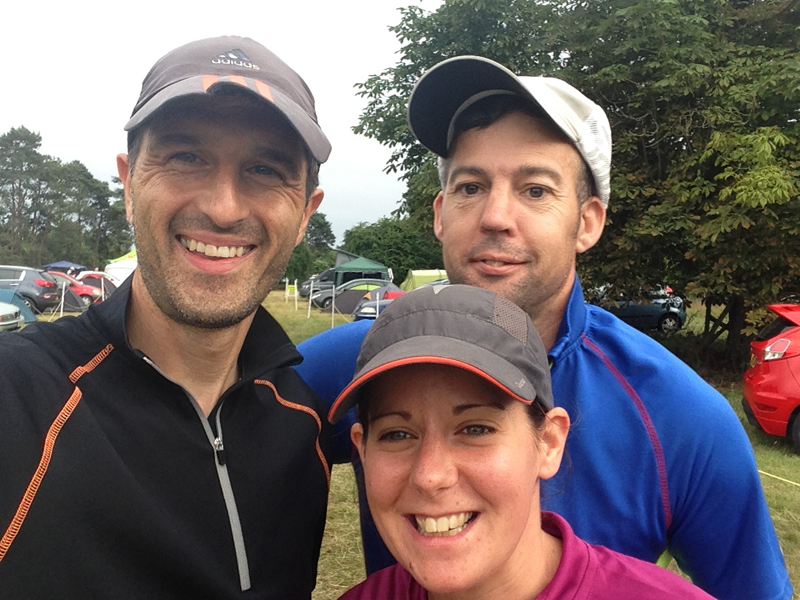 I bumped into a few familiar faces and had a chat with Rob and Nina before heading down to the start to organise my gear. For a 50km race, I had a few energy drinks and some snacks/gels in a cooler box and put these in the soloists tent so I could grab them quickly and easily as I completed each lap. After that, it was time to make my way to the start where I met lined up with a few other Reading Joggers (Ben, Shaun, Cliff). We also had a few club mates marshalling (Gina/Margaret) so it was nice to see a few familiar faces. Tactics wise the 50km is closer to a marathon than a longer ultra and a different mindset is probably required than the jog, eat, walk, eat routine I normally adopt. The plan had been to run around 8-8.30 pace (i.e. a comfortable pace I could maintain which would mean I could run again the next day) but when the race started I found it difficult not to settle into ‘marathon’ pace, despite trying to slow down (race adrenaline and all that) and found myself in 4th position quite early on with the lead runner disappearing out of sight. After covering the bonus mile, it didn’t take too long to catch up with the 12 hour or 50 mile runners and the first lap was spent overtaking quite a few people. The route had plenty of twists and turns (which probably accounts for some lost distance on the Garmin) and was covered was mostly grass fields which was freshly cut but could be described as generally a bit ‘lumpy’ along with a few tarmac sections so care would be needed when it was dark. With a 7pm start, I was hoping to get at least half way before I needed my head torch but had this one me for when I needed it. The first couple of laps were great, a pleasant evening trail run and with a constant incentive of catching the next person ahead (which was generally someone undertaking the 50 mile or 12 hour run). My legs felt ok despite having put in a few big training weeks mileage wise over the last couple of weeks and not really tapering for this event at all. I traded places with the chap in 3rd place briefly before he drifted ahead of me leaving me in 4th place for the rest of the race. I was generally overtaking people for most of the race and bumped into a few people I knew giving a quick hello and then pushing on. Laps 3 & 4 were around a 7.30m/m pace and it was just a case of following the same routine as I grew familiar with the course. 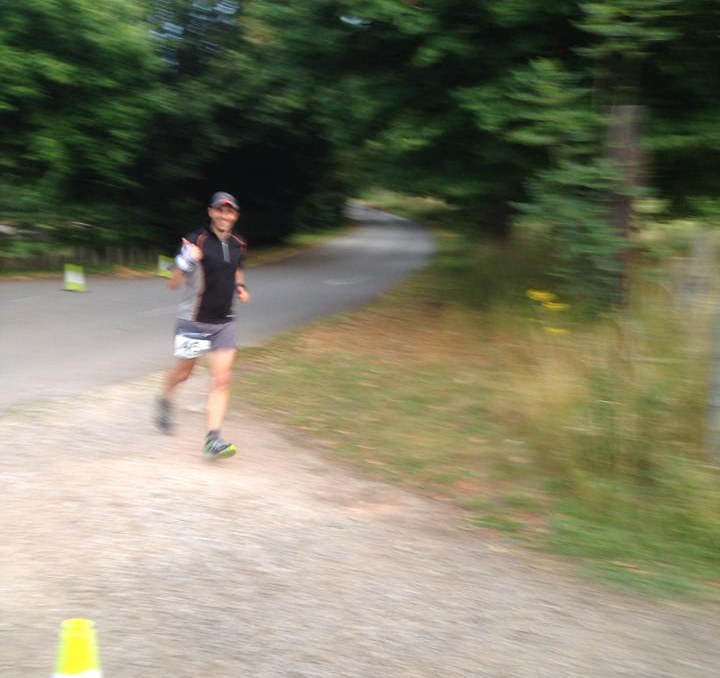 At the end of each lap I paused briefly to grab a snack, neck an energy drink and then push on. No more than 30 secs a lap was wasted here. There was a water station at the half-way point but I was comfortable not stopping and just taking on food and drink once every 5 miles. Lap 5 was the one I needed to focus on mentally. It was now getting dark and the lumpy ground meant the odd stumble when your foot doesn’t land flat on the ground and I was trying to maintain a decent pace (for me). I just kept thinking that get this lap done and then its the last one. I don’t really mind lapped events at all as its easier to break these down into manageable segments as you count down to the last one. This was my slowest lap averaging just under 8m/m.A glance at the Garmin suggested a sub 4 hour time was on as I switched on the head torch now as it was getting more difficult to see in the wooded sections in particular some of which were lit up with fairy lights. I have only run a couple of 50km events with a PB of around 4.15 so a sub 4 was looking like a good effort. I worked my around the penultimate lap chasing down the odd light ahead of me and arrived at the start/finish area to see fellow club runner Tim Grant finishing a lap. A quick grab of the drink/hello and I was off again on the last lap. The legs were feeling a little stiffer although the lure of the finish meant I managed to increase the pace a touch to around 7.45m/m. I started to go through that routine where you start to tick off every straight, every turn, every gate focussing on finishing the race. With a few km to go I started to work out a finishing time in my head. I usually run in miles and the km distances were making it more difficult to calculate but I thought I had a few minutes contingency for a sub 4hr. It was now pitch black in places with little moonlight, the weather was still cool (I didn’t need anything more than short and a t-shirt… and my lucky hat) although I was running reasonably well and generating plenty of heat/sweat. The course was now marked with glow-sticks but if I’m being picky I thought they could have done with a few more of these on the course to give runners that bit more confidence of the route ahead. I ran the last few km’s although I did have a couple of half-stumbles near the end (just before the fairy light section) before catching myself and then put my head down for the last turn and sprint for the line finishing in 3.53. 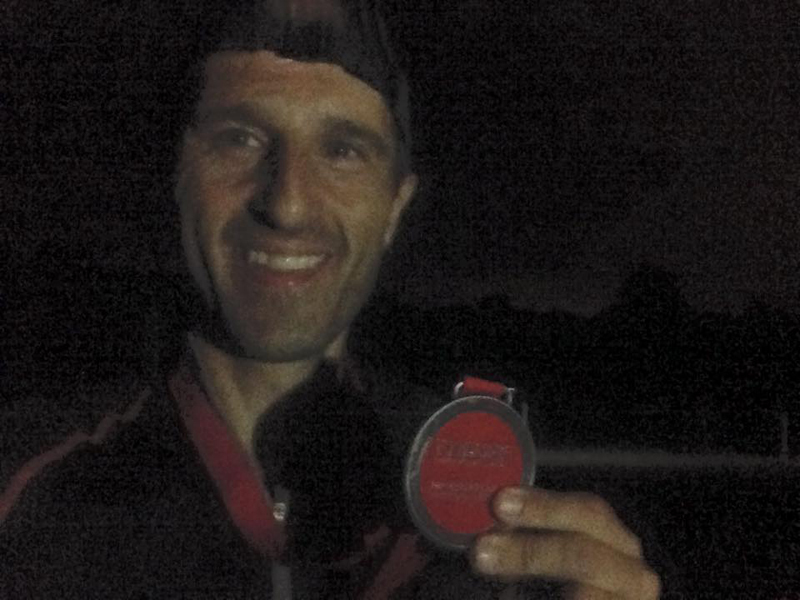 For an evening/night trail run I was really happy with that result. In fact, it was a new 50km personal best time. I collected my finishers medal from Claire the Race Director, grabbed my cooler box and headed home. From a 7pm race start, I was back in bed by 11.45pm after a quick wash (ok, I slept on the sofa on a blanket to avoid having to wake the family with a midnight shower). The next day, I did go out for a planned recovery run but I decided to have a very easy day to help the legs recovery a bit. I was pleased to say the legs were a little stiff and sore (and better after a run/stretch and soak in the bath) but were not completely trashed so training can continue as planned. In truth, my planned 90% effort was probably closer to a 95% effort. A good start to my ‘training events’ but lots of miles to be run over the next couple of months to get myself in better shape. 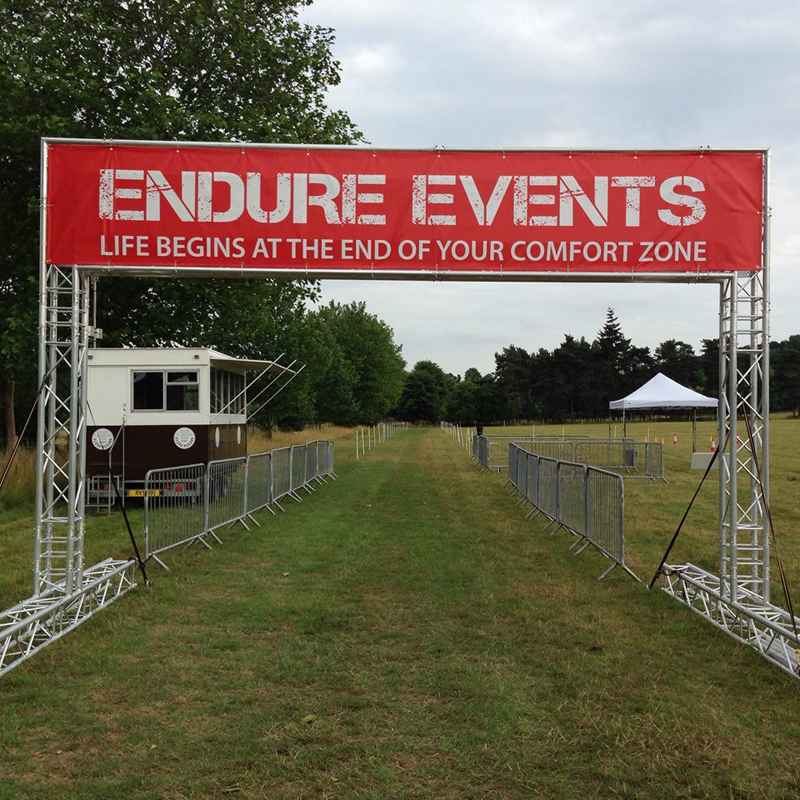 Thanks to the Endure 12 team for an enjoyable event. 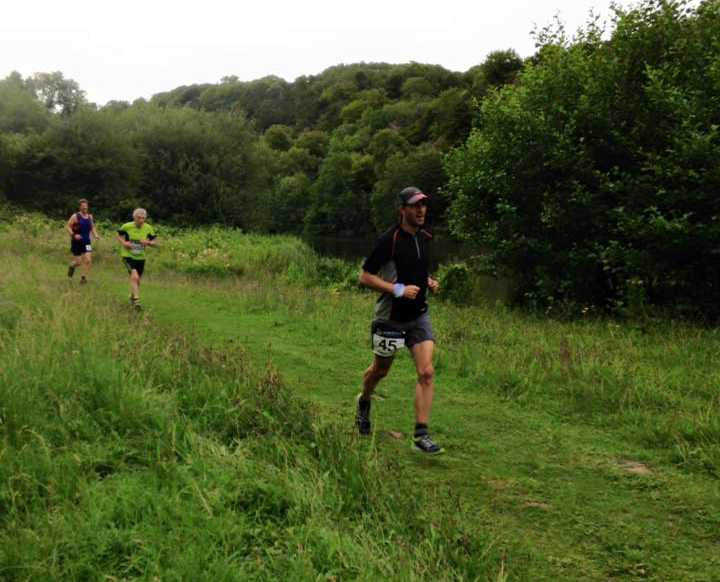 It was well organised and I thoroughly enjoyed an evening trail run (sounds like a great idea for a local marathon in Reading…ahem) particularly when I could finish and be back home in bed especially before I reached that miserable sleepy phase at night. I also quite enjoyed the fact that it wasn’t a huge event (like Endure 24 with 2,000+ people) so there was plenty of space, wasn’t too crowded etc. Although I suspect the event will grow in future years as this is its only its second year. Thanks to the organisers and well done to everyone who took part, I hope you all enjoyed the event as much as I did.